The standard of accommodation is a major contributory factor in attaining good health. Conversely poor housing can precipitate a range of physical and mental health conditions. Minimising the adverse effects of poor housing remains a challenge for health, local government and voluntary agencies. Poor Housing in England is costing the NHS in excess of £600 million a year, so money invested in dealing with poor housing will result in a financial benefit to health. In relation to the links between housing and health inequalities it is useful to look at the housing tenure of vulnerable groups and the condition of that housing. Data shows in Devon vulnerable households account for just under a fifth of the population living in private rented housing. In the South West region vulnerable households live in worse accommodation than anywhere else in the country. In terms of decent homes, thermal discomfort (excess cold or heat) is the biggest health risk in Devon with trips and hazards and overcrowding also significant health risk factors. Appropriate housing is also a major contributory factor in the ‘recovery process’ for people with mental health or substance misuse problems. Conversely poor mental health or substance misuse can often lead to tenancy breakdowns and in the case of those with mental health could precipitate a hospital admission. Health inequalities are related to the shortage of new homes and the affordability of housing in general. Affordability can lead to poor mental health; over six million households state they are suffering from stress and depression due to their housing costs, whilst 14% of households live in houses that are too small for them. 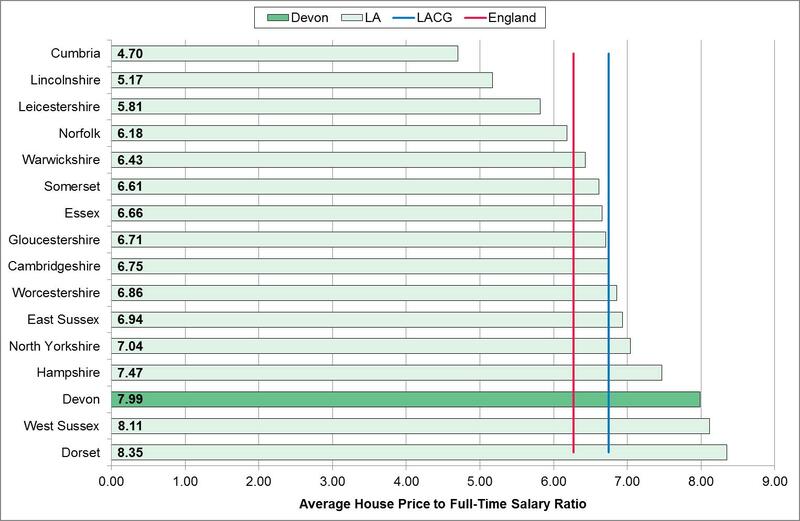 The ratio of house prices to earnings is one measure of how affordable it is to buy a property. The higher the ratio, the less affordable it is for households to get onto the property ladder. 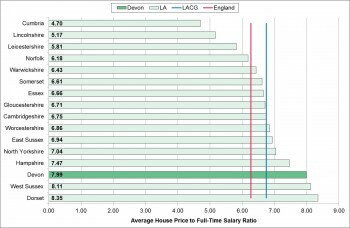 Figure 6.4 shows affordability ratios across Devon are higher than the national average. The ratios vary from district to district and in 2014 the highest ratio was in South Hams and the lowest in Exeter.